Beautiful scenic shot with the light rays! 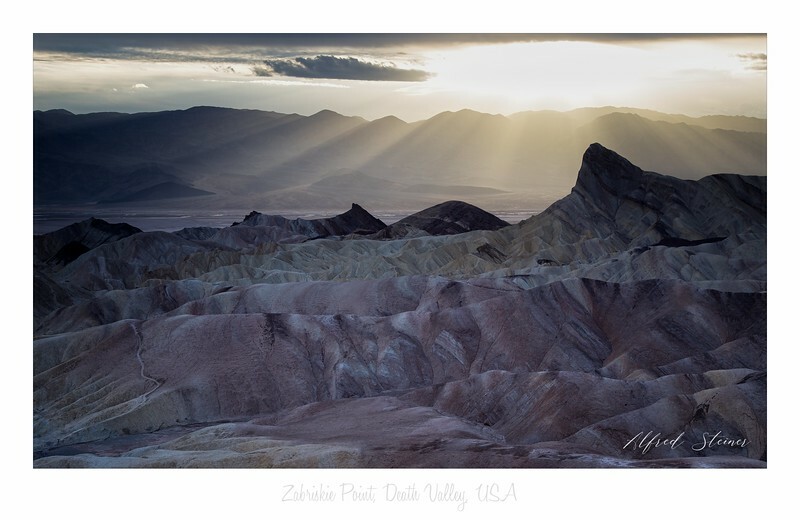 Nice view of Zabriske Point in Death Valley--like the light rays. Stunning capture of the rays in this spectacular landscape! Stunning capture, beautiful light and tones!